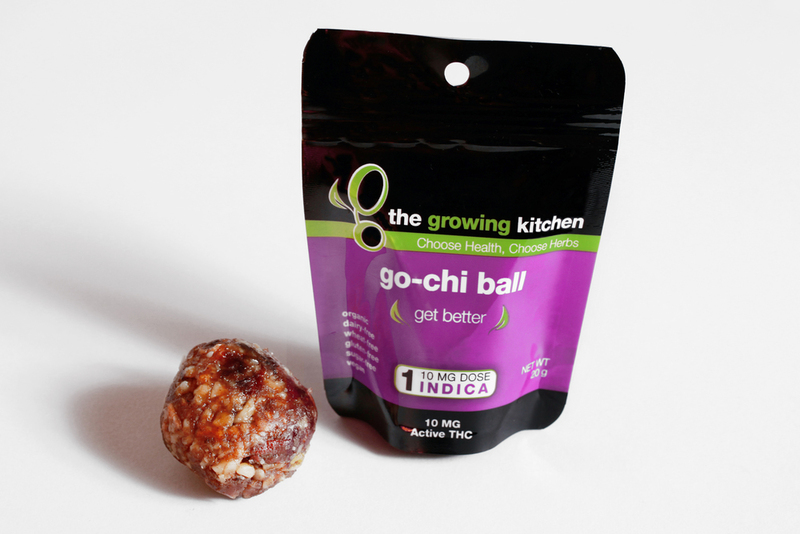 The Growing Kitchen's product collection includes a wide range of marijuana-infused edibles, concentrates, and natural medicines, made with whole plants of single-origin cannabis from our farm in Boulder, Colorado. Good for the earth and your taste buds. Whole cannabis plants and organic ingredients make healthy, enjoyable products. The Growing Kitchen's edibles menu is bursting with gourmet fresh-baked delights, fruit-nut chews, and all-natural hard candy made from whole-plant cannabis. Sativa, indica and hybrid varieties allow you to tailor your cannabis experience. And because we believe in making cannabis accessible to everyone, we also produce dairy-free, gluten-free, sugar-free and raw options. We are committed to responsible, safe edible consumption. Each of our products includes a level of active THC that can be safely enjoyed in full. The Growing Kitchen takes pride in crafting the cleanest and most enjoyable concentrates available. Our in-house extraction lab produces wax and shatter from whole plants of our homegrown cannabis, using both bud and sweet leaf to create more potent effects. Including cannabis flowers means higher-quality concentrates with more active cannabinoids and medicinal powers. Additionally, we extract trim from local Colorado dispensaries, allowing you to sample concentrates from strains you already know and love. At The Growing Kitchen, we believe that plant-based natural medicine has the ability to improve the health of the world, and we see cannabis as key to this transition. We have witnessed the astonishing healing powers of cannabis firsthand in the patients and customers we serve, and also in the growing body of scientific research now being conducted. Our natural medicine range harnesses the potency of these natural herbs to aid in health and healing. Our cannabis-infused salves and tinctures provide effective natural relief for a variety of ailments.